The International Cricket Council (ICC) assured Members that it has a robust security plan in place for the Men's Cricket World Cup. The Board moved to reassure members around security ahead of ICC Men's Cricket World Cup 2019 in light of recent communication from the BCCI and confirmed that as is normal practice this will continue to be monitored through to the end of the event. "ICC, in partnership with the England and Wales Cricket Board (ECB) has a robust security plan in place for the Men's Cricket World Cup. Should those authorities raise the threat level of the event based on intelligence, we will, of course, uplift our security commitment as appropriate," said ICC CEO David Richardson. 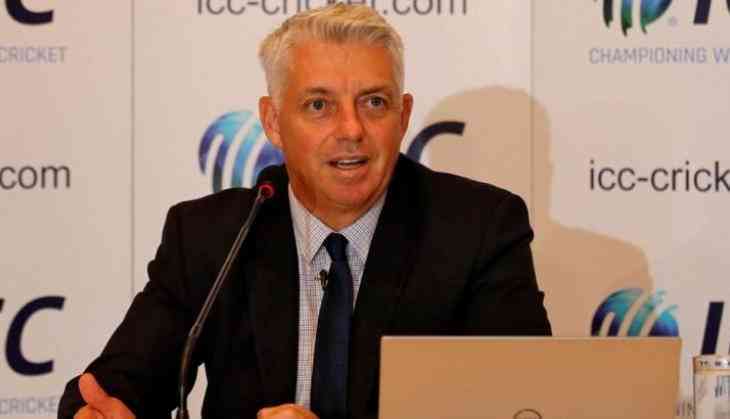 "We will continue to work with the ECB and our Members throughout the build-up to and during the tournament to keep everyone abreast of the situation," he said. The ICC concluded the 6 days of meeting in Dubai on Saturday. UAE and Scotland were selected as hosts of respective ICC Men's and Women's T20 World Cup Qualifier events. Scotland will host women's event from August 31 to September 7, 2019, and UAE will host the men's event from October 11 to November 3, 2019. The Board approved a new set of Safeguarding Regulations to better protect children, adults at risk and participants involved in ICC events.